East 4th Street has some of the most curious tree guards in all of the East Village! Was the tree guard made too small, or was the cut in the sidewalk made too large? And why are there only three sides to it? It even has a gate! 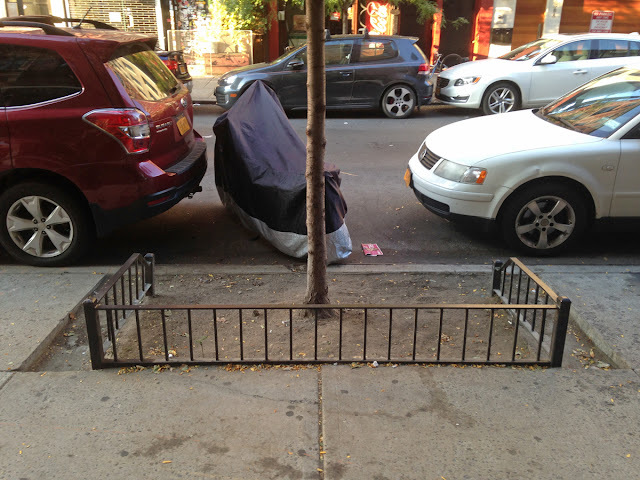 Now that The City is finished refurbishing our curbs, I think their next project should be to remove all tree guards in the East Village, and replace them with new, identical ones!